This is the second entry of Waxing Nostalgic, which will (hopefully) be an ongoing series of articles shedding light on albums gone unappreciated for too long. Click here to see the first entry. Was it just me or did the dance-punk explosion of the aughts contain very little bands who actually showed a distinct punk-influence? Looking back, it’s hard to see past all the hype and disco hi-hat beats to find anything that actually sounded like punk. Sure, there were some highlights of the genre that proved it could work wonderfully when done well (The Rapture’s Echos of course, as well as a personal favourite in Thunderbirds are Now!’s Justamustache), but very quickly it dissolved into the watering down of an already outdated sound. In step VCR with their 2003 self-titled EP. The trio of synthesizers, honest-to-goodness punk vocals and drumming that encapsulates their sound owes more to synth-punk pioneers The Screamers or early Hot Hot Heat than it does to the aforementioned genre they reside in. The growing interest in their EP lead to a re-release on SideOneDummy Records (home of The Casualties, 7 Seconds, The Gaslight Anthem, etc) as well as 2006’s follow up Power Moves. Their bass-and-synth driven sound allowed the band to avoid the usual pitfalls that most bands at the time succumbed to — like the generic post-punk aping and jangling guitars, or an over-reliance on chorus based melodies. The music of VCR was interesting mostly due to the battling synth lines and punk vocals of Chad Middleton juxtaposing with the backing vocals of Mya Anitai. To get to the point of it, VCR were doing what so many attempted but failed to do: stay punk but shake some asses. I’m not too sure why they ended up being a footnote in a crowd of bands they were so clearly better than, but there you go. 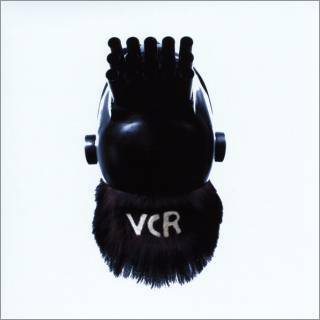 VCR’s self-titled EP and Power Moves are two very consistent records that deserve some attention by those who either loved this kind of stuff, or were cynical about the bands who rose to popularity by doing it wrong.